I absolutely loved this set. It drew me in until the end and made me want to cry and laugh. It left me with joy in my heart and a smile on my face at a time when I needed one the most. Absolutely devoured this set. Completely magical! Will read again. Great. It takes you away and makes you wonder about your own power as a woman. 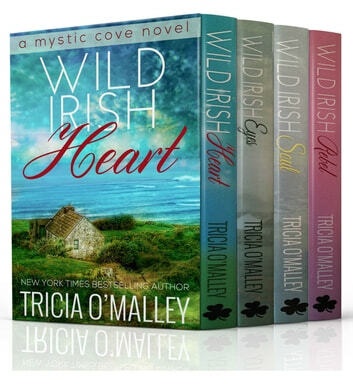 I loved this modern day magickal series about a small irish town with great characters, hard to put back down once you are hooked in the magick of the cove! It was a total delight to read each of these stories. Having some Irish blood myself, it was nice to connect with all the main characters and appreciate their magick! Loved the land and sea descriptions ans the stories as they unfolded!